Supersonic Sameday UK began operations in 2005 and have become established as experts in providing same day courier & logistics solutions right across the United Kingdom. Operating from Warwickshire in the very heart of England we have rapidly expanded to cover the whole of the United Kingdom whilst along the way building good working relationships nationwide with many companies. Supersonic Sameday UK consist of a knowledgeable and friendly team who are always ready and willing to advise you on the best transport solutions for your business. With a team of experienced drivers right across the UK we provide a wide range of courier vehicles. The majority of jobs generally require a small van, a midi van or larger transit-sprinter style van. For the larger jobs we also provide luton box vans, 7.5 ton trucks with tail lifts. Larger vehicles are available and can be provided at your request. Offering you a professional approach from your first call right through to the final delivery of your goods you can rest assured we take pride in providing your business with exceptional levels of customer service. On each and every occasion your company will benefit and enjoy the consistently excellent levels of service that you demand. Your valuable and personal goods are treated with respect and as if they were our own. Fully insured and employing the latest in technology, you are guaranteed the fastest delivery of your goods on every occasion. And just as soon as your goods are delivered safely to their destination, you will be contacted immediately by one of our friendly team. Wherever your business is located in the United Kingdom, we have a professional vehicle with driver ready to respond to the needs of your business, whatever that may be. 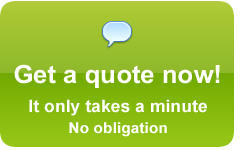 Call Supersonic Sameday UK now on 0845 052 1596 or click here for a fast, free, no obligation quote.